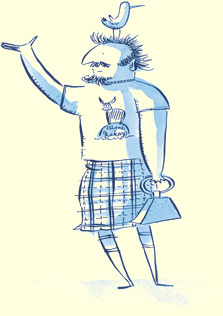 We’ve just launched a fabulous Facebook competition. Head to our Facebook page to enter for your chance to win one of 5 limited edition, handmade books by the talented paper artist from Mull, Joanna Caskie. Joanna has taken some of our used (but clean!) biscuit boxes and transformed them into the most fabulous little books. There are so many lovely details, such as two handy inside pockets, a lovely closure disc, and rounded corners (my favourite). The books really show off the great design on the interior of our biscuit packaging turning outside as covers for the books. Don’t delay in liking our facebook page, sharing the competition post, and commenting on what you would use the book for if you won. 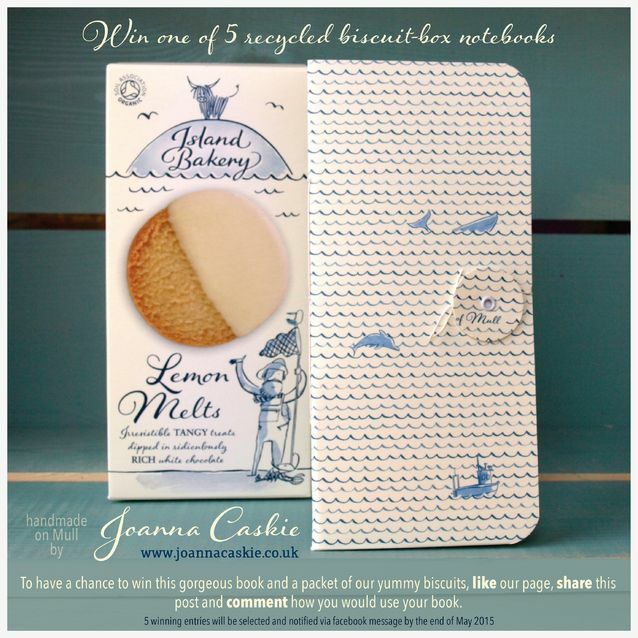 5 lucky winners will receive a book, with a packet of biscuits, after the competition closes at the end of May.